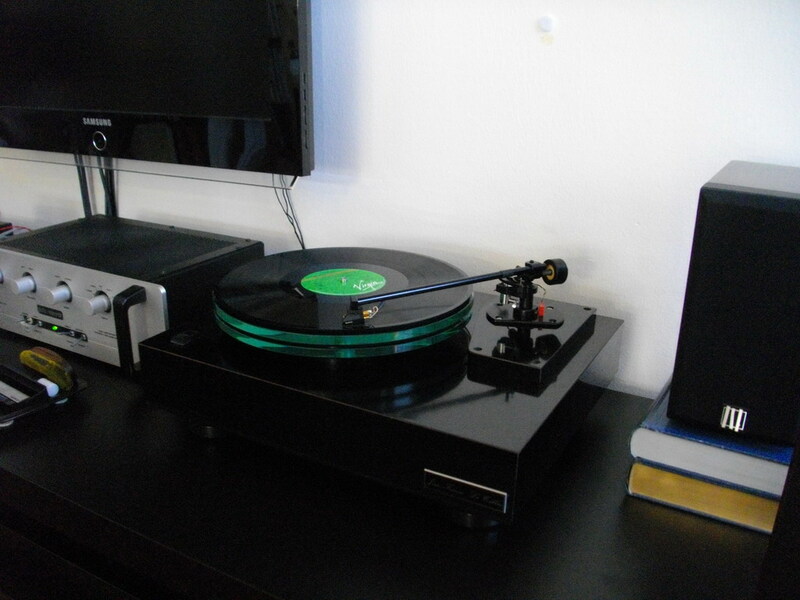 Le Tallec Stad1 turntable with Mission 774 tonearm & Goldring 1042 cartridge. The Rotel RQ-970BX phono amp was modified after the article by Andy Grove in 'Hi-Fi World' Nov. 1994. I use LME49710 op-amps in input stage and OPA627 in output stage. Also replaced all resistors with Dale CMF55. MUR860 rectifiers, silver wire, new enclosure.